1 to 1 Marketing platform for leading franchise marketing agency. Non-profit organization that focuses on mentoring new developers, designers, UI/UX, and project management professionals. 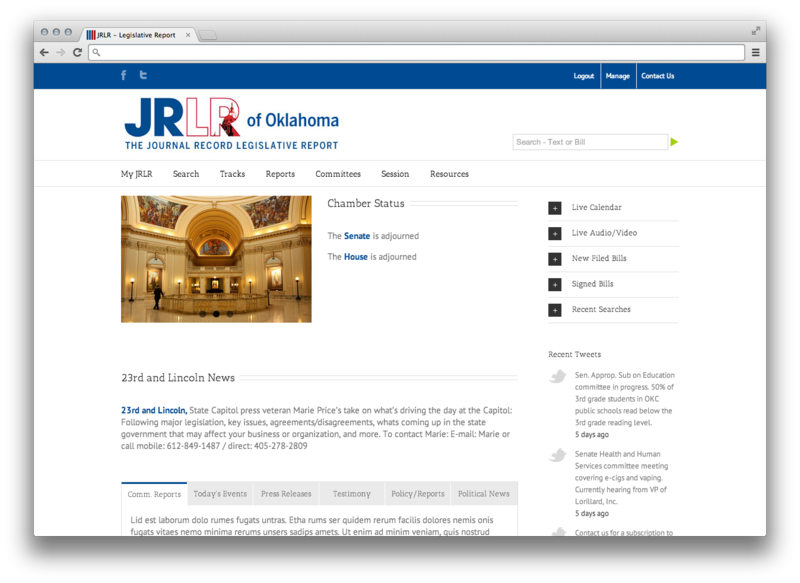 Leading single state legislative tracking app in Oklahoma. 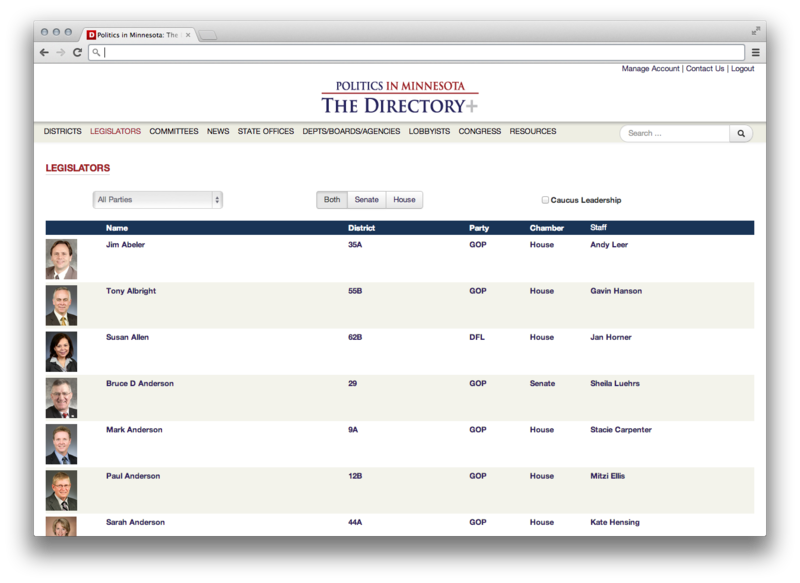 Interactive directory for state and local elected officials in Minnesota. 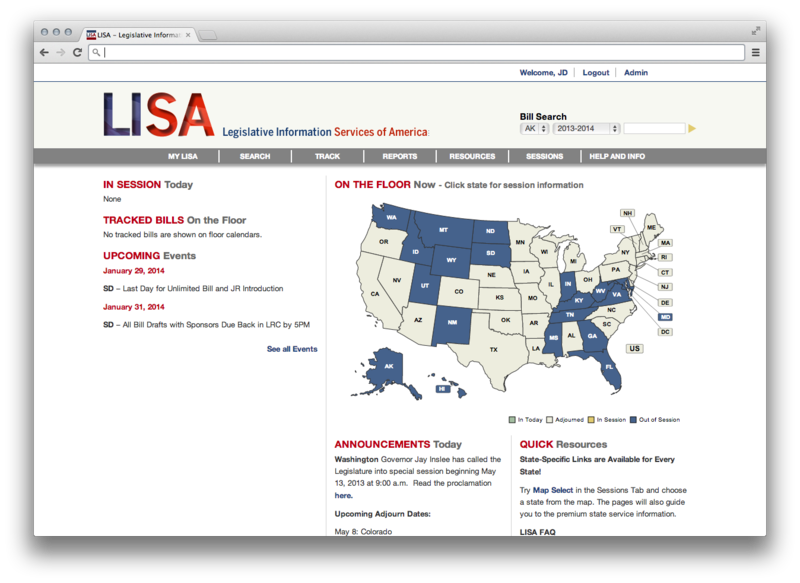 50 State legislative tracking app for managing the complex world of federal and state legislation. Upscale restaurant in Snyder, TX serving traditional Texas cuisine with a modern flare. Customer management protal for Credit Help USA. Managing all aspects of customer accounts in a centralized database. Credit consulting and restoration company focusing on enabling clients to regain control of their credit scores. Bluewater, Inc. is a leading 1 to 1 franchise marketing agency. 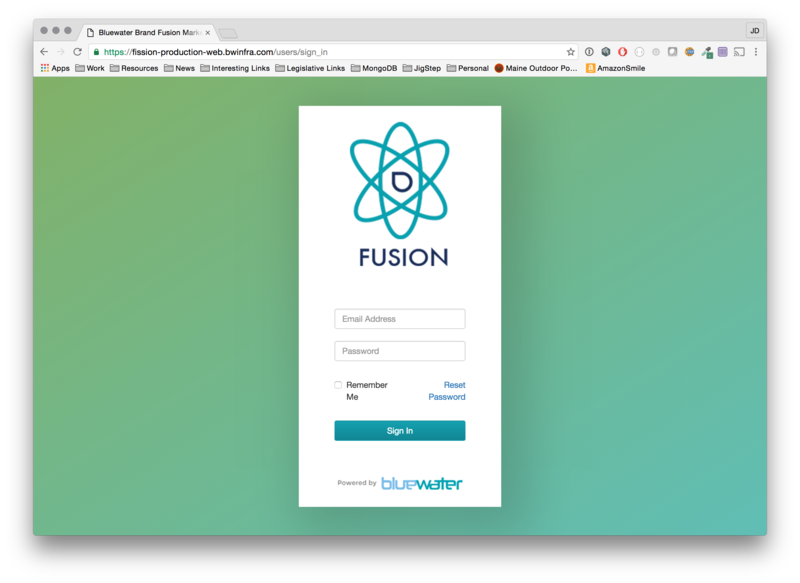 Fusion is the platform that we are building to bring their processes into the digital age. 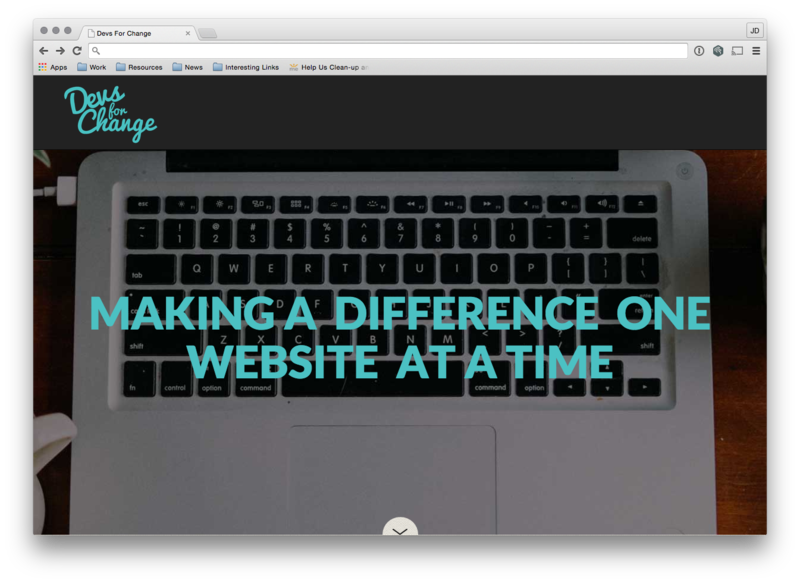 Devs for change main website. While working with The Dolan Media Company I was tasked with developing a single state legislative product. The app serves as a resource for lobbyists or other people interested in a state's legislation. Similar to the 50 state product but this offers more in depth analysis of a single state's legislation as well as various tracking and reporting tools. While working with The Dolan Media Company I was tasked with developing a directory application for their single state legislative products. The app serves as a resources for lobbyists or other people interested in a state's legislative members. We rolled the app out in Minnesota and are currently in the process of rolling the same out for OK and AZ. While working with The Dolan Media Company I was tasked with developing a 50 state legislative services app. The app allowed prospective clients to track legislation they had interest in across all 50 states. Using Sunspot/Solr I helped design and build a flexible search infrastructure that was used by the LISA app but also served as a "vertical" for other apps within Dolan. A secondary app was made that collected data from all the 50 states through scraping and APIs. 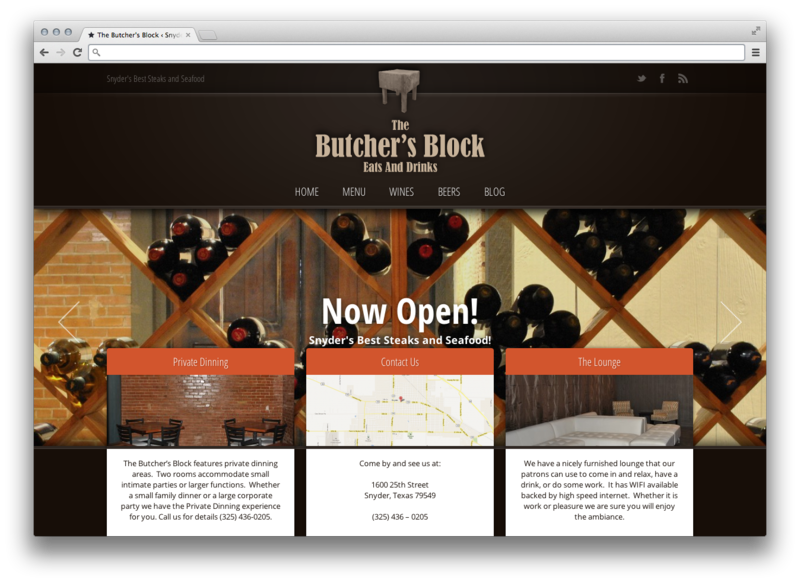 For the design of their new website The Butcher's block contracted me to design and develop their online and print presence. The requirements were to produce and elegant and modern appearence that allowed the food and ambiance to be showcased. All aspects of the project were handled by myself, from custom coding of the wordpress theme to photography/videography. When Credit Help USA needed a customized CRM solution I helped them develop a bespoke solution for their industry. All aspects of the customer interaction are maintained through this app making it easy for it's users to address a customer's needs. From billing to credit bureau dispute management this custom application centralizes Credit Help's workflow. 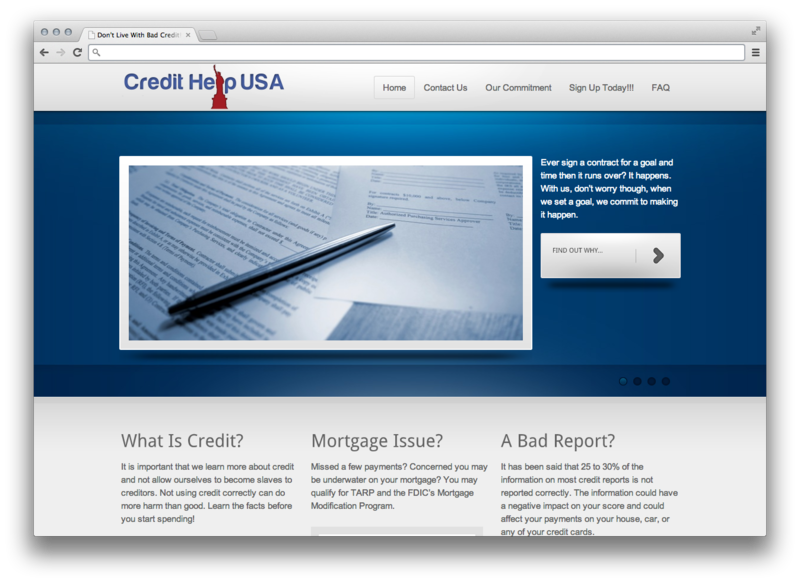 For the redesign of Credit Help USA's website a wordpress deployment was used. The end result had to be something that could be easily managed by anyone at the company while maintaining a modern look and feel. 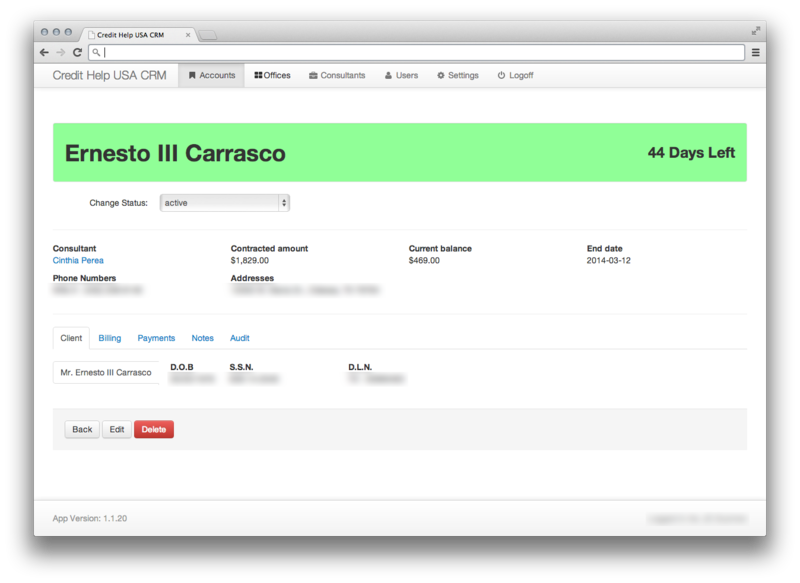 Some customization was done to the theme to make it fit the requirements of the company.